Make your reservation by clicking here. (Note: Hotel rooms can be reserved at a discount if booked by 8/30/2019). Help us spread the word about the reunion. Get on the phone, check out our RHS Class of '89 Facebook group, pull up your contact list and invite your friends...this is a once-in-a-decade chance to get together and share a few laughs and great memories. Keep an eye on this website and join our Facebook group for updates and additional details. 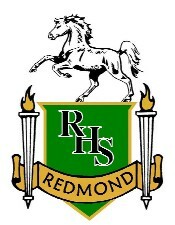 Our time at Redmond helped shape who we are today. Please come as you are and help make our evening together as the class of '89 something we'll never forget!